This year I am helping to organize our class reunion. Anyone who has done this can attest to the amount of work it takes (not to mention time, money, and energy). One of the easiest parts for us was coming up with a theme. Since we scheduled it for late summer we knew we wanted a more casual and fun theme so we decided on a luau BBQ. While we had done electronic invitations already, some of our classmates expressed that they would like to receive paper invitations to have as keepsakes. I love this kind of stuff so I offered to design and make them. Thankfully, a couple of the other girls helped me to assemble them since we needed so many! These DIY luau invitations are so easy to make and festive that they will be perfect for your summer party! **I have not included amounts in these because it will be dependent on the amount you need to make. I can tell you that we needed 100 and I used roughly 7-8 leis, an entire pack of cardstock, and about 5 tape runners. Design and print out the information part of your invitations on regular printer paper, 2 to a page. Cut your cardstock in half, bisecting on the 11” side. Also cut out your information sections. Trim these close to the words to ensure that there is an edge around them once they are adhered to the cardstock. I chose to round the corners of both the information pieces and the cardstock pieces. If you choose to do the same, you should do so before taping the pieces together. Tape the two pieces together for each invitation, centering the information on the cardstock. Prepare your flowers by cutting apart your leis (I got 3pks at the dollar store). Then slide the flowers off of the string. 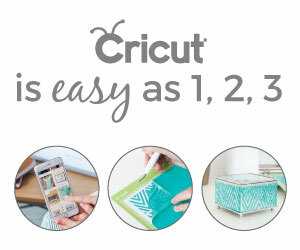 If choosing to cut out your palm trees on your Cricut, start doing this now while you are preparing the flowers. These leis have come in so handy! I’ve used them on a ton of projects like this adorable girl’s purse! Assemble your flowers by placing two flowers of different colors together and securing them with a brad. You should be able to press the brad directly through without making a hole first. For each invitation, adhere a flower on the bottom left of your information with a mounting square and a palm tree on the right with the tape runner. That’s it! I am so happy with how these turned out and again, they are just so simple to make. We were able to assemble around 60 of these in a couple of hours. If you are just having a personal bbq, these diy luau invitations should come together in minutes. 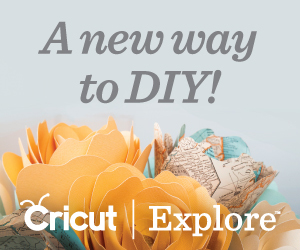 If you are looking for more DIY fun you can find awesome creative summer ideas here!